The parliament today accepted for consideration amendments to the 2009 land transport law to write off outstanding fines for illegal parking. Earlier this month, President Abdulla Yameen pledged to write off fines accumulated for traffic violations and illegal parking. Following a preliminary debate, the government-sponsored legislation was accepted unanimously with 67 votes in favour and sent to committee for further review. During today’s debate, several MPs said illegal parking has become commonplace in the capital after the president’s announcement. Motorcycles are parked outside homes, mosques, and hospitals, the MPs said. The traffic situation in Malè is out of control and extensive revisions should be made to the law to tackle the problem, MPs contended. Opposition MP Ahmed ‘ADK’ Nashid suggested issuing ‘certificates of entitlement’ after assessing whether a vehicle owner has the parking capacity and introducing ‘pay parking’ services. The amendments propose leaving it to the discretion of the police to impound vehicles from parking zones after a week and either destroy or auction vehicles if owners do not come forward in 15 days. If passed, the amendments would also exempt disabled persons from paying traffic fines or annual fees for their vehicles. The traffic police would still be authorised at their discretion to impose fines for illegal parking, impound vehicles, and dock points from driving licenses. 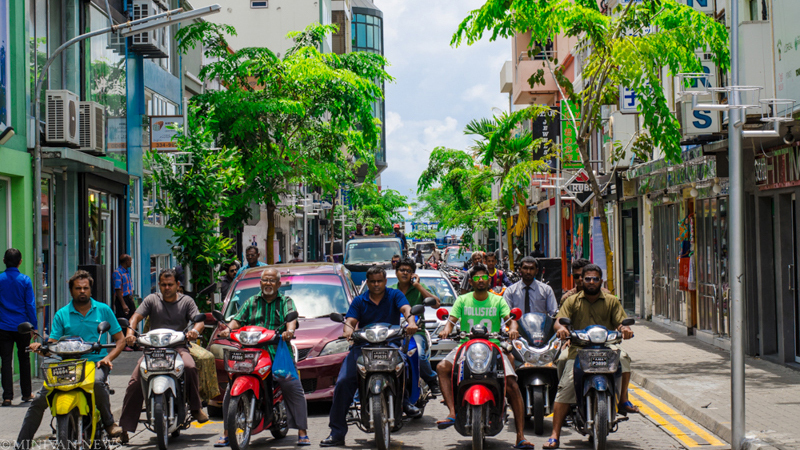 Speaking at a function with youth supporters on June 6, President Yameen observed that the fines for some motorcycles impounded at the tow yard has reached up to MVR80,000 (US$5,188), which most youth were unable to afford. 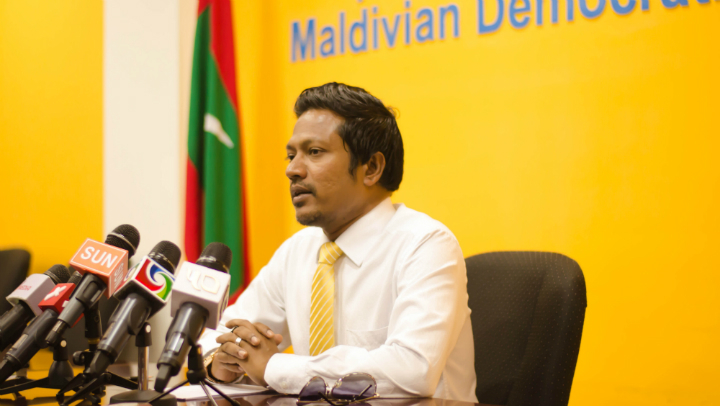 “We have submitted a bill to the People’s Majlis to write off debt or arrears built up like this. So from the day this bill passes, those youth will no longer be in debt,” he declared. 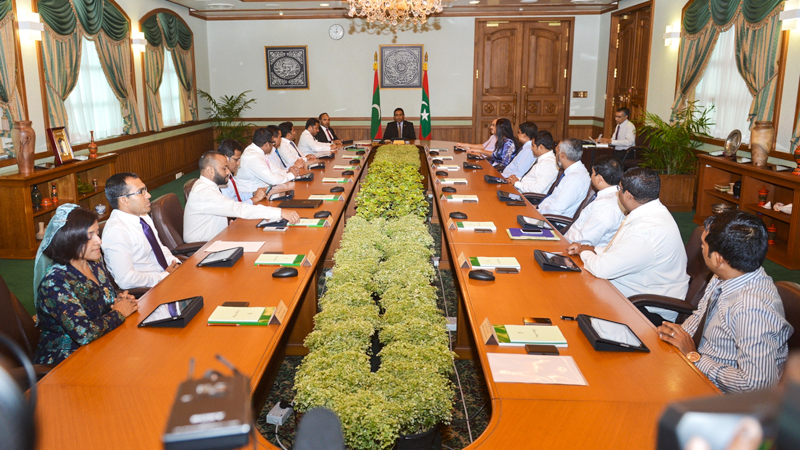 President Abdulla Yameen has nominated the disgraced former chairperson of the Civil Service Commission (CSC) as the new high commissioner to Malaysia. 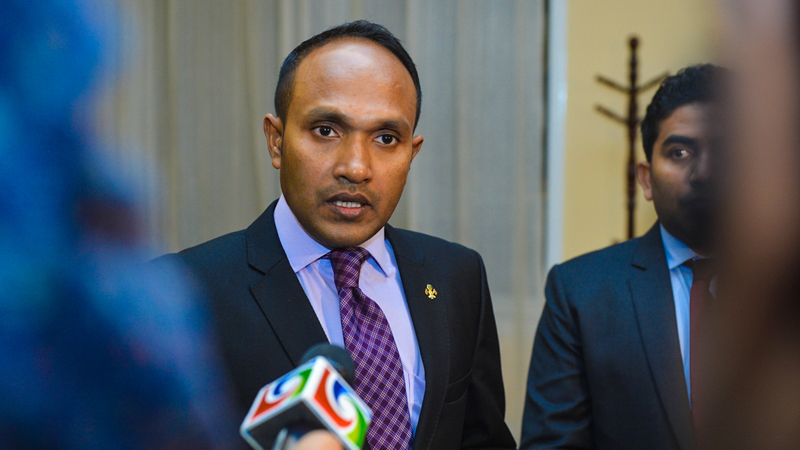 Upon assuming office in November 2013, President Yameen appointed Fahmy as the deputy high commissioner to Malaysia. Fahmy was nominated for parliamentary approval today. 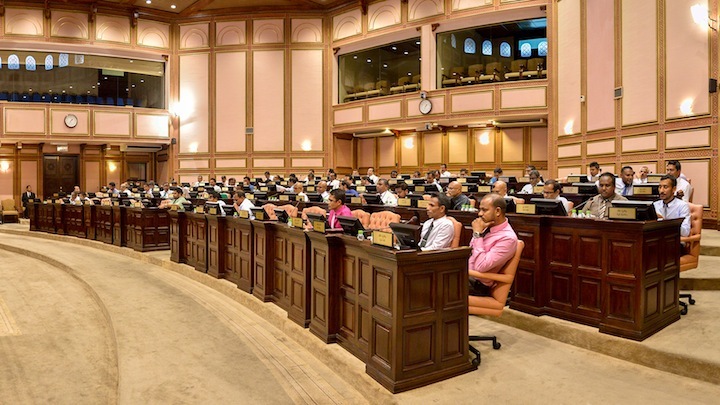 The parliament will vote on the appointment following evaluation of the nominee by the national security committee. 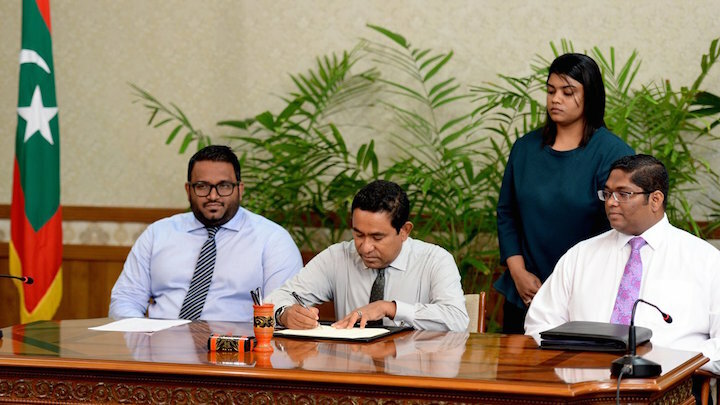 The Supreme Court overruling parliament’s dismissal of Fahmy had meanwhile led to both Fahmy and his replacement Fathimath Reeni Abdul Sattar arriving for work. The CSC eventually blocked Fahmy from accessing its offices in September 2013. A source said Fahmy’s fingerprint access was rescinded after the former commissioner continued to come to the office for a few minutes every day. In response to the allegations, Fahmy told Minivan News previously that the female staff member had made up the allegation after she learned she had not won a scholarship to Singapore offered by the CSC. 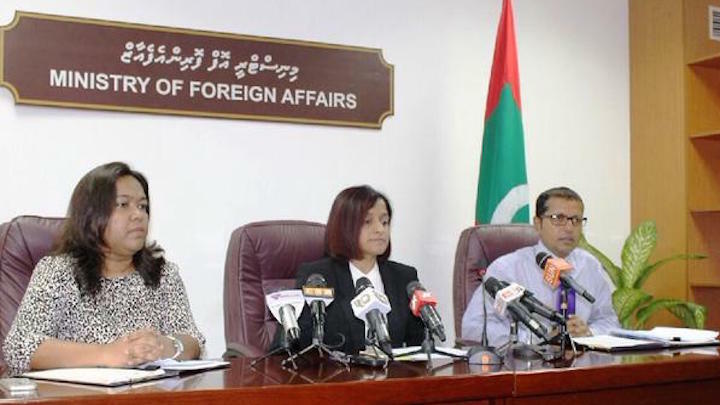 Correction: this article previously said that President Yameen had appointed Fahmy as high commissioner to Malaysia. This is incorrect. The president had only nominated Fahmy’s name.